Jemez Springs, New Mexico has an elevation of 8,000+ feet. Based on the terrain, you’d be surprised to know that it is located only 60 miles from Albuquerque, New Mexico. Ideal for camping, fishing and also known for its hot springs, the village is an oasis away from city life. 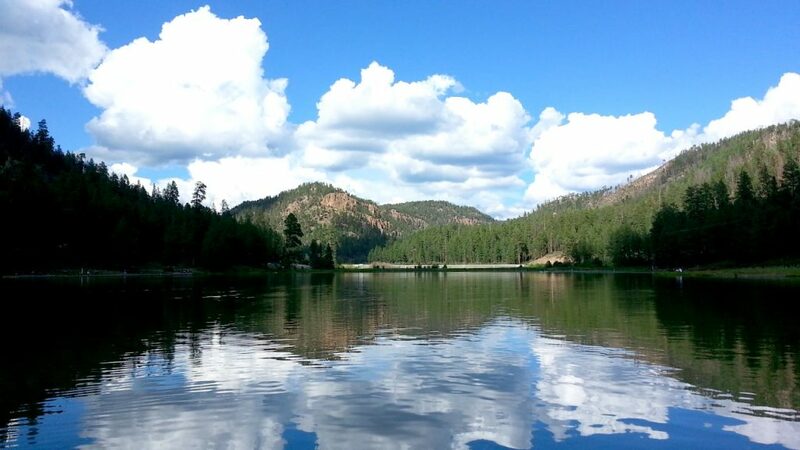 Jemez Springs is an amazing get-a-way where you’ll find lodging, breath taking views and a vast amount of history. Fenton Lake is just one of the area’s wonderful hotspots. The park offers wildlife viewing, picnicking, camping, fishing and non-motorized boating. The park also offers a playground, restrooms, developed and electric sites. Whether you’re planning to stay the night or just coming out for the day, you’re sure to have a memorable time.